Apartment homes available for immediate move in. Find the perfect floor plan for you. Our apartments come with high speed fiber internet the day you move in! 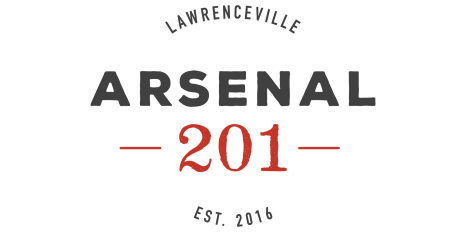 Arsenal 201 is in the heart of all the restaurants and shops that Lawrenceville has to offer. Arsenal 201 is a mixed use living space of retail and apartment homes in the Lawrenceville area of Pittsburgh. Once the site of the largest arsenal in the Union during the Civil War, Arsenal preserves history in a modern, progressive way. Residents indulge in casual sophistication while enjoying what the city has to offer! Come home to more than just an apartment when you live at Arsenal 201. Our perfectly appointed eco-suite, studio, one, two, and three bedroom floor plans create a haven that has been specially designed for you. You don’t have to sacrifice form or function with our expansive layouts offering up to 1,514 square feet and a variety of in-home finishes tailored to your lifestyle. Large windows frame breathtaking views of Pittsburgh and the surrounding areas. You'll also enjoy premium flooring, prime solid surface countertops, tech savvy touches like USB outlets, and a media package boasting 120 Dish TV channels high-speed fiber internet access. Check out our photo gallery to get an exclusive look at our modern apartment interiors and more! This fully amenitized, pet-friendly property has everything you want from a pool, to quiet outdoor courtyards with hammocks, grills, fire pits, a resident lounge and coffee bar, a 24-hour fitness room, a game room and more just steps from your front door. Our exceptional location puts you just four miles from downtown Pittsburgh and gives you great proximity to shopping, dining, entertainment, and nightlife all within walking distance of home. Arsenal 201 is minutes from Google and Uber Advanced Technology Group and several other local employers, and close by the Allegheny River and several local parks make it easy to enjoy the outdoors. Expand your education at the University of Pittsburgh or take advantage of several shops, boutiques, restaurants, and breweries close to Arsenal 201. With exceptional apartment interiors, impeccable community amenities, and a location unlike any other, Arsenal 201 is sure to have a home that’s just right for you. Call today to schedule your tour!